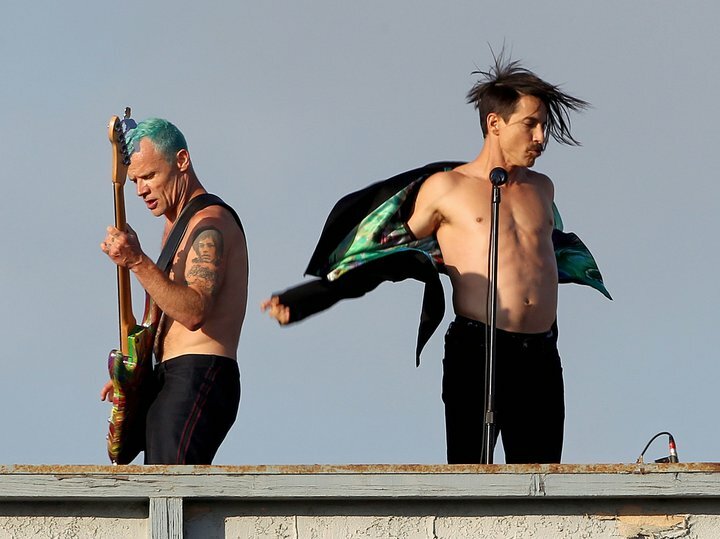 Red Hot Chili Peppers just released the video to their new song “The Adventures of Raindance Maggie.” The simple video features the band with new guitarist Josh Klinghoffer playing on the rooftop of a Venice Beach apartment. This particular apartment is located on the corner of 19th Street and Ocean Front Walk. 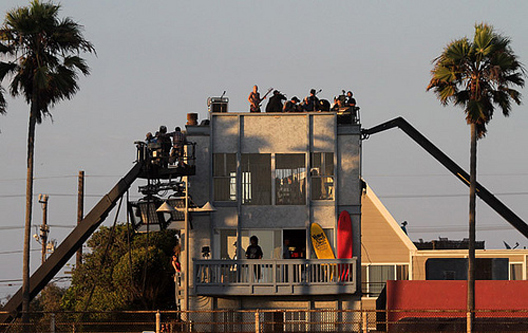 Address is 1901 Ocean Front Walk, Venice Beach, California 90291. 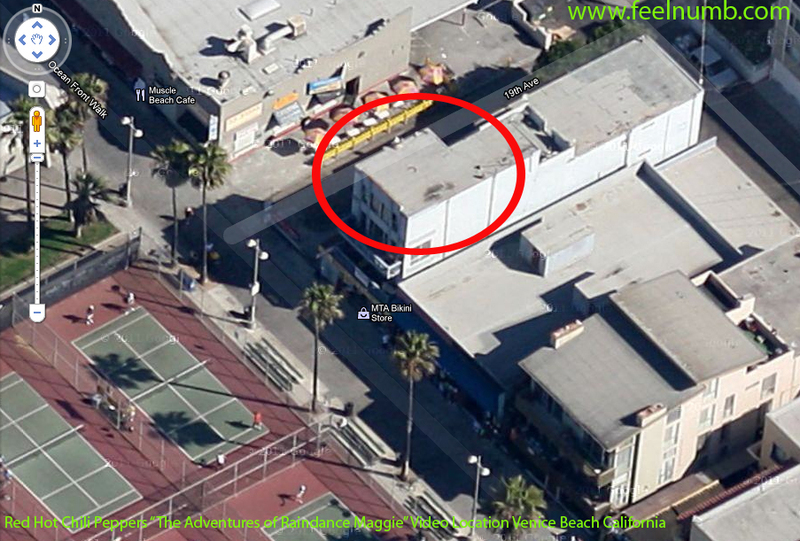 Click the photo for Google View. 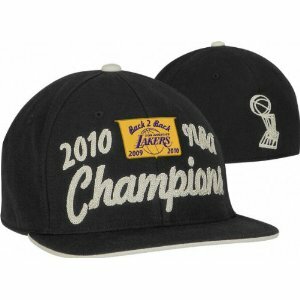 A big shout out to Josh Klighoffer for sporting a 2010-2011 Los Angeles Lakers championship hat for the music video. I think that was Flea’s hat. He was wearing it at the DOger game. What kind of bass is Flea playing in the video? pretty sure it is his new flea bass guitar he had painted. if you look close it has the round pick guard.